Kruger Omni Healing ™ is a gentle, safe, original way to stimulate Full-Body Natural Healing with rapid tangible results. 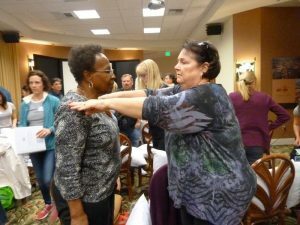 You will learn to quickly improve your Physical and Emotional Health by using the skin’s access to the nervous system which effects full-body healing. One 8-hour day and you’re on your way! Next, you will learn how to balance and correct the Subject’s “issues” via the Kruger Omni Healing technique. You AND your Subject will experience tangible physical improvement using Before/After testing results. You and your Subject will know you’ve achieved maximum benefits — All in 7-10 minutes. 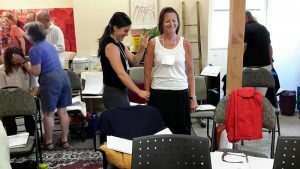 Victoria, British Colombia, Canada: Saturday July 13, 2019 Basic KOH class and Sunday July 14, 2019 for Advanced KOH class (must be a certified KOHP).